So you’ve gotten your hands on that hot new VR set up, plugged in the headset, cameras, and controllers and are ready to live the sci-fi dream. But you’re missing one key component: games. Where can you go to fill up this interactive hole in your life? You know the answer: it’s itch.io! That’s right, not only do we have awesome indie games, comics, books, and jams, but we also have VR experiences ready for you as you read this. Just like any other specialized kind of content, we have a tag set up for VR ready for you to browse through. You can sort through all of these experiences in a variety of ways from popularity to platform to price. You can also refine your search by including other tags. If I were to list all of the ways you can sort VR games here, this post would be a mile long, so check out the tag and you’ll probably find something to love. Now where do you start when it comes to finding games to play? Well as I mentioned above, sorting by popularity is a great way to figure out what the itch.io community thinks is neat, or if you’re feeling more adventurous you can check out the Most Recent tab to see what developers have been uploading. To sweeten this deal even more, both of these tabs are continually updated so no matter when you’re reading this (hello, readers in the future!) you’ll find current content. But what if you need a more specific place to start your VR adventure? Fret not dear reader, I have a pair of games that got me excited about VR and will (hopefully) excite you too. First up: Superhot VR. The original Superhot was a wildly inventive FPS that was built under one simple premise: time only moves when you do. In practice this meant that a genre typified by lightning quick reactions became a slower, almost puzzle-like experience of gunshots and punching. The team behind what became one of my favorite FPS ever decided to take their skills and make a brand new experience for VR. Rather than just strapping weird VR movement to their existing product, Superhot VR takes the core mechanics of Superhot and reimagines it for VR. This means that instead of slowly walking and stopping around the game’s self-contained levels you’re teleporting around while Matrix-dodging around bullets. This might not seem like a wild change, but the feeling of crouching underneath bullets while throwing a katana at an enemy is unmatched. If first person shooters aren’t your jam, consider Thumper. Unlike Superhot VR, Thumper is an existing game with VR built on top of it but it’s an experience that works so well that you could be forgiven for believing that fact. Described by the developers as a “rhythm violence” game, Thumper is adventure of a silver beetle that hops, slams, and grinds its way down a track set to one of the most aggressive and pulse-pounding soundtracks I’ve heard in a game. 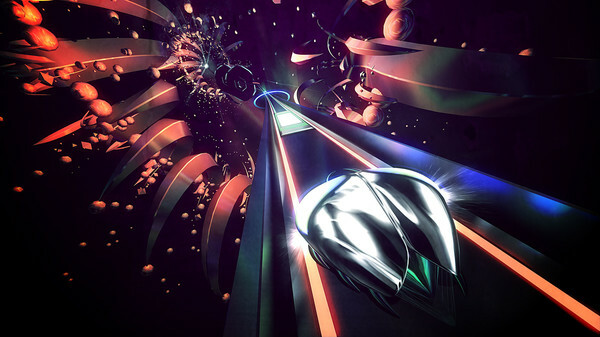 Instead of tracking your movement and putting the game into a first person perspective, Thumper puts the action right up in your face and makes what was already a fully engrossing rhythm experience a fresh new beast that keeps you on the edge of your seat and heart thumping along to the beat. None of this really thrilled me when I heard about it but as soon as I strapped on the goggles I felt the power of VR as an audio-visual experience and had the time of my life. Now what about you, VR fans? What have you been playing? How did you get into VR? Have you developed a VR game? Let us know in the comments so we can welcome more players into the VR community. I played several VR games here on itch.io. "Tea for God" is a great one, absolutely astonishing. I love that you are able to walk endless in real and can explore the VR world without any teleporting or locomotion. Beside playing VR games, I develop games on my own. My most popular game is Till Dawn, an apocalypse zombie FPS with some special VR controls. My second game is Run,Boy,Run. It's an endless runner in VR where you have to build up the world while Danny is running. For this game you will find the source code on github, the link is on the game page. Right now I'm on my third game which will be a FPS again. I try several new stuff and I hope that I can show more in the near future.